I would highly recommend Porsche of Delaware's service department. 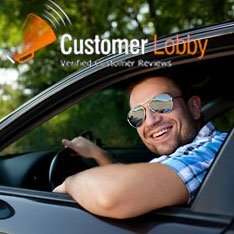 Mike Adam's approach was very professional and the overall service experience was great compared to the best service experiences I had in the past for any of my other cars including that of Lexus. From the initial phone call to driving away in my new car the experience was amazing! I was treated like I was a family member. The service manager, Mike Adams, is a true professional. I would recommend all Porsche owners to service their cars with Mike at Porsche of Delaware. Purchased the tire/wheel repair insurance when I bought the car last month, and found a screw in my tire. All good. Service was excellent. Great bunch of guys. Transaction was quick and easy. Would go to them again. Communication was good. Would recommend them to everyone. Both John Mase and Mike Adams did an excellent job. Easy to book, great staff, very helpful and straightforward communications. So good I hardly even looked at the bill! Sales staff (Niccole) also extremely helpful. This purchase experience was painless and the least stressful by a massive margin. There was no pressure, and I was treated with the utmost respect. When I am in the market for my next Porsche I will be going to this same dealer.